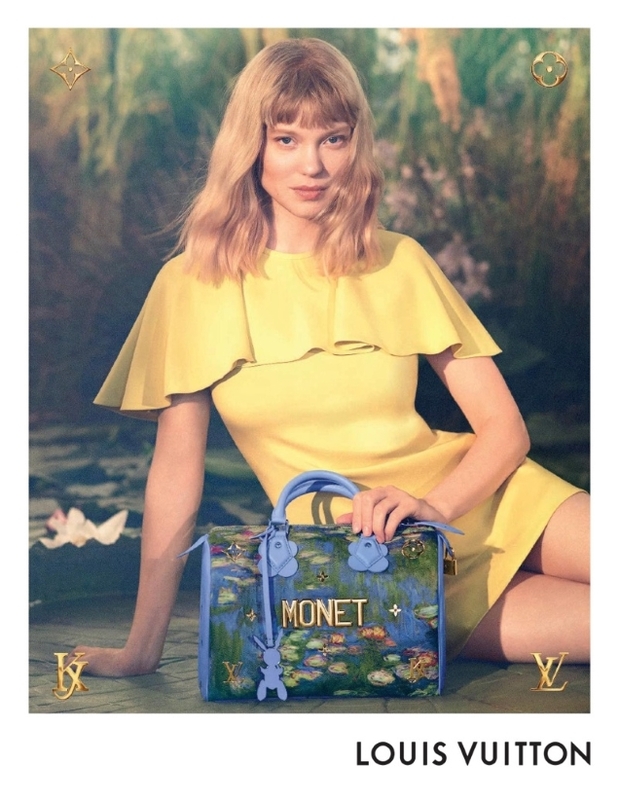 Despite the critics (and our forum members’ disapproval), the instantly recognizable Louis Vuitton x Jeff Koons collaboration must have served the brand well, as the world-renowned artist and legendary French fashion label reunite for yet another collection. 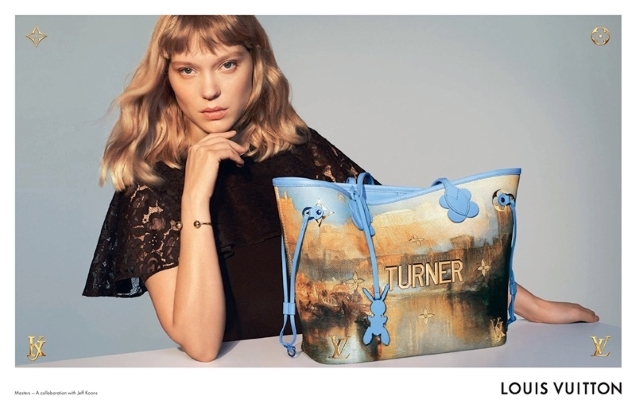 Now including the iconic works of Manet, Turner and Gauguin, actress and Vuitton brand ambassador Léa Seydoux replaces Alicia Vikander as the face of the collaboration. The team rejected the desert as the location this time around, opting for the studio with Léa reprising her role as the ultimate Louis Vuitton woman with effortless ease. Love for Léa aside, it’s safe to assume that our forum members won’t be rushing to a Vuitton store anytime soon. “I can’t believe this Jeff Koons collaboration is continuing, it’s so ugly and the campaigns are nothing better. I feel sorry for Léa for having to participate in it,” wrote dodencebt straight away. “Airport gift shop cheap,” an underwhelmed MissMagAddict echoed. “Again? Why give him another run when the first range was so positively abominable. And this time around the campaign looks as cheap as the bags, especially with the false backdrop and unfortunate bangs. What a waste of Léa Sedoux,” fumed Benn98. Also not willing to part with their money was GivenchyHomme. “It obviously didn’t sell the first time around. I doubt this attempt will do any better. It’s a very ugly line that should have never gone into production. A big mistake for LV,” he stated. “Can’t believe this collaboration is still happening. Love Léa but even she couldn’t save this,” said an unforgiving mathiaskatz. “Since the last collection, I only saw one woman carrying it. And she’s a white middle-age lady. I mean at least if you make it tacky, make it a successful one. All the collabs during Marc Jacobs were wild and most-wanted,” voiced TaylorBinque. A success or a total flop? Let us know how you feel toward the collaboration/campaign here.